RORC race Cowes - Dinard - St.-Malo provides crews a course of 164 miles. Starting from Cowes on Friday afternoon, heading west in the Solent, the yachts cross the Channel, leaving the Casquets, Hanois buoys and St Peter Port (Guernsey) before reaching the beautiful town of Saint-Malo. "Branlebas de régates" in the Bay of St-Malo is organised by SNBSM will take us from St-Cast to Cancale (via Dinard, Saint-Malo ... etc). The day of 15 August will be led by the race between 'bisquines'. This award is organized to promote the class of 50-feet multihulls, which takes over the moribund ORMA class of 60 feet. Yachts will participate in one or two races per day in the Bay of St-Malo. Route du Cidre is a traditional boat rally organized by the Old Gaffers in Rance Valley between Dinan and St-Malo. This race in the form of coastal raids is open to sport catamaran classes of 16 to 21 feet. 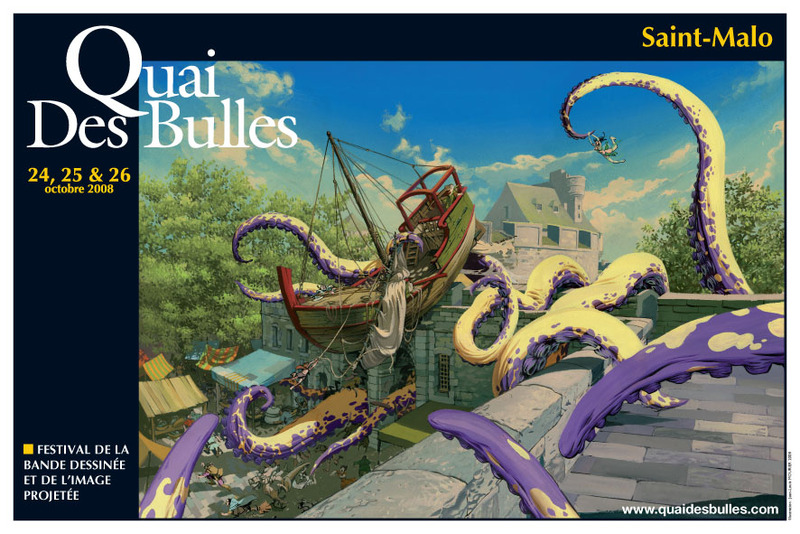 The Festival of the comic and the projected image will be held at the Palais du Grand Large and Duguay-Trouin space from Friday 23 to Sunday 25 October 2009 in St-Malo. For the 20th anniversary of the association Rowing-Sailing in Cancale, a meeting put together all that walking to sailing and rowing in Europe: stranding of traditional boats on the beach, night illuminations and sailor's songs were scheduled for this friendly gathering for all lovers of the sea.